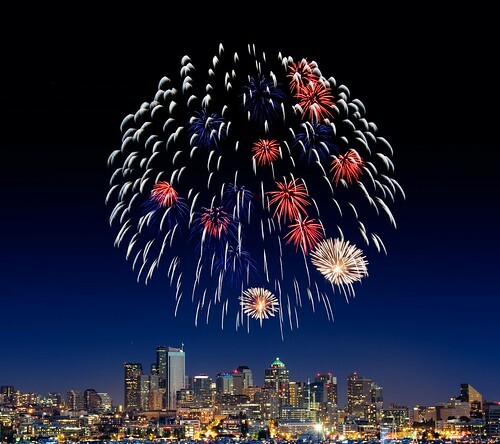 Fireworks Seattle, a photo by JM Clark Photography (jamecl99) on Flickr. As it's the 5th of November and firework night I thought it would be appropriate to show you an absolutely stunning firework photo. What's not to love about this one? The composition is amazing. And the sky is such a gorgeous colour. It's a perfect piece of artwork.